Or is it? My scholarly interests are concerned with questions like this one, where old media becomes reborn or remediated in ways that reveal important power relations between writers, technology, and the political economies in which they work and live. This research emerges from two important turns in composition studies — the multimodal and the public — asking to what extent a writer’s relationship with media and materials reveal certain desires and capacities of publics and counterpublics. I’m particularly interested in histories of self-publishing and how those histories can be used to better understand our current, digital, neoliberal moment. In my dissertation I address the public and political dimensions of various multimodal processes by considering how both new media and our current political economy have affected the authorial desires and motivations of do-it-yourself (DIY) publishers. 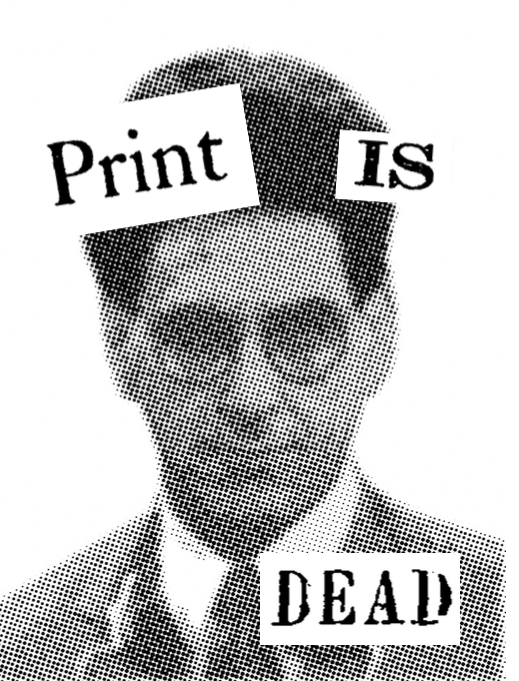 By DIY publishers I mean those who continue to use print in the 21st century as a mean for political expression, producing and circulating self-made texts (like zines, c omics, little magazines, etc.) in an age where digital-only tools, such as blogs and social media, are passed off as compulsory platforms for public voice. The data for my study comes from more than 70 issues of Broken Pencil, a small, Toronto-based magazine that has covered DIY publishing and the independent arts since it was founded 1995 — the same year the web became commercialized. Thus, I use new materialist methodologies to suggest that while the web has helped DIY publishers expand their networks, it has been at the expense of a different sort of politics than those cultivated by radical, print-only self-publishers throughout the 20th century. Ultimately, this study suggests that in order to study and teach multimodal public writing, we must develop a rich understanding of the numerous intermediaries — the various circuits of production, distributions, exchange, and consumption — that shape both authorship and readership. Currently I’m developing a proposal with Frank Farmer (University of Kansas) and Kristi Prins (Cal Poly Pomona) for an edited collection that examines the ways DIY culture has been or can be scrutinized for the lens of composition studies. 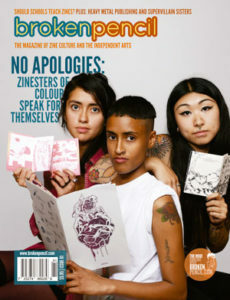 While the roots of contemporary DIY culture have a progressive edge, its visibility in the public sphere has been dependent on corporate intermediaries, entrepreneurial empowerment, appeals to material distinction, and a “fantasy of abundance” and tech fetishism that occludes possibilities for social change (Dean, 2005). For these reasons, several recent monographs and edited collections have examined what agency DIY authors, publishers, makers, coders, crafters, citizens, cultures, and counterpublics can exercise in the 21st century. In this collection, then, Frank and I seek to assemble authors who draw relationships between various aspects of DIY, craft, and making and innovations in composition and rhetorical history, theory, and pedagogy; in particular, we are interested in how a sustained study of DIY might broaden our goals for both the multimodal and public turns. I’m currently co-editing a special issue of CLJ on self-publishing with Steve Parks (Syracuse University) and Frank Farmer (University of Kansas) focused on the histories, theories, and practices of self-publishing cultures. Selected authors will focus on the ways self-publishing functions in the present as well as the past, especially how certain cases affect the future of community literacy. We are especially interested in how case studies or microhistories of self-publishing help us theorize the limits of the term, calling into question the role of the “self” in (counter)publics, as well as the characteristics of production, consumption, exchange, and distribution that make a text a “publication.” My own contribution will feature a series of interviews with several self-publishers.